Automatic Oslo bollard of 220×500 in stainless steel installed in Ibiza to limit the traffic in a pedestrian area. Includes reflective stripes and a prohibition adhesive signal to increase its visibility. Installation of a set of automatic retractable bollards and fixed bollards following the same aesthetic in the vicinity of the City Hall of Santa Coloma de Gramenet. These bollards are ideal for blocking the passage of vehicles at the entrances of stores (thus preventing theft with landings) or in the vicinity of public buildings and schools. Installation of automatic retractable bollards of iron model Lithuania combined with fixed security bollards in the Ciudad de la Justicia in Barcelona. Installation of 4 telescopic hydraulic automatic bollards to prevent the access of non-authorized vehicles to an industrial zone. High resistance to impacts. It runs through a remote control and goes totally down till the level of the floor in a few seconds. Installation of a removable bollard in iron City model, of a telescopic semi-automatic bollard London model and of a flexible bollard A-Resist model to delimitate a restricted area for residents and privates. Automatic retractable bollards with a crown of light installed in La Pineda to restrict the access to a central pedestrian path. The bollards turn on and off thanks to an automatic mechanism. 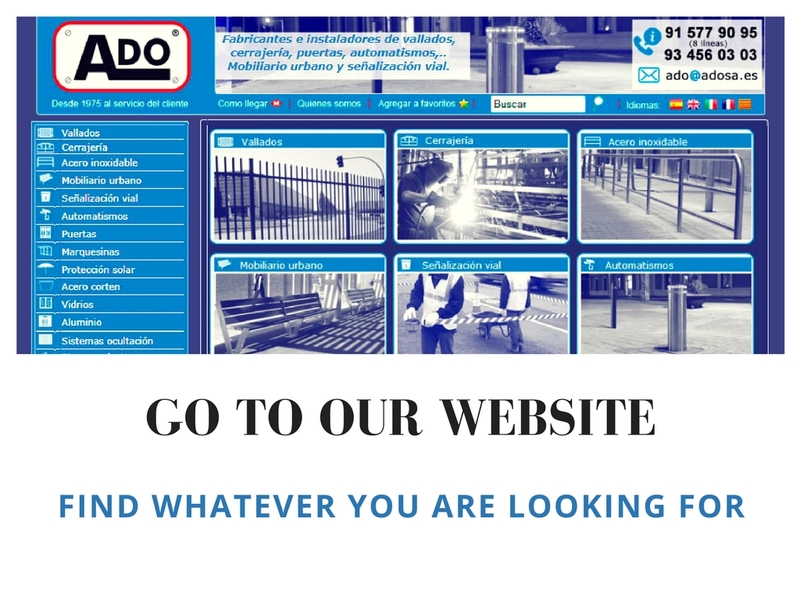 Specialized in security service and anti-vandalism.